Our cultural presentation on 6 April 2017 was a talk with the intriguing title “Shakespeare as an Italian”, given by Canberra-based poet and university lecturer, Mark O’Connor. Most of us were aware that some of William Shakespeare’s plays had Italian settings. Romeo and Juliet, set in Verona, comes immediately to mind. But it was surprising to learn that in about a third of his plays all or part of the action takes place in Italy. Moreover, many of his plots were taken in whole or in part from Italian sources. Some of these sources were from ancient Rome. Plutarch provided the basis for Shakespeare’s Roman history plays – Julius Caesar, Antony and Cleopatra and Coriolanus – and he drew on a number of stories by Ovid. In addition, he borrowed the plots or plot elements for many other plays, including some that are not set in Italy, from more recent Italian works. Shakespeare clearly had a fondness for il bel paese, even though in England at the time Italy was linked to “popery” and Italians were considered suspect. One of Shakespeare’s contemporaries, Thomas Nashe, attacked “the Italianate pen” that “pilfers” others’ works and “in disguised array, vaunts Ovid’s and Plutarch’s plumes as their own” or “must borrow invention of Ariosto and his countrymen”. (Preface to Greene’s Menaphon). Why would Shakespeare have been so attracted to Italy as a setting for his plays? In the minds of the Elizabethans, it was a place of luxury, glamour, advanced culture, artistic licence and sexual freedom, but also of “popery”, Machiavellian scheming, poisoning (the Borgias), corruption and lust. Italy, said Mark, was the “happy hunting ground” of William Shakespeare’s imagination. Italy’s exoticism was also dramatically useful. For example, a love story such as Romeo and Juliet had to be compressed into two hours on stage. An English audience could more easily believe that the hero and heroine would fall in love at first sight one evening (even though the hero was in love with someone else a few hours earlier) and that they would marry the very next day, if they were hot-blooded Italians. Some people have suggested that Shakespeare must have lived in Italy, or even that he was an Italian. They argue that he seems to know a lot about certain Italian cities where his plays are set. However, Mark pointed out that he did not seem to know much about how to get from one Italian town to another, and made some basic errors, such as giving Milan a sea coast. Perhaps, Mark said, he was just a good researcher. 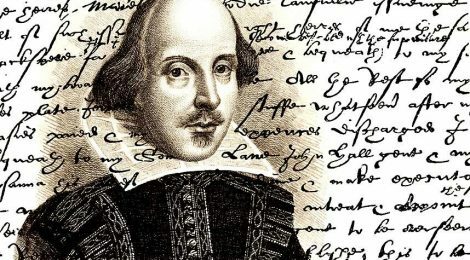 Did Shakespeare speak Italian? In Mark’s view, he could easily have learnt Italian, relying on the Latin he had learnt from childhood, and with the help of acquaintances such as John Florio. Florio, whose father was Italian, was a linguist and translator and was tutor to Shakespeare’s patron, the Earl of Southampton. However, it is also possible that Shakespeare read Italian works in translation. Such translations were available in England in Shakespeare’s time, and the novellas in particular were popular. Could Shakespeare have studied in Italy? It has been speculated that he might have studied at the Venerable English College in Rome. In guest books signed by visitors to the College during the relevant years, there are three signatures that it has been suggested could refer to “Stratford”. Some Englishmen did study for the Catholic priesthood there, but it was risky. A substantial proportion of them were arrested and executed when they returned to England. Mark said it was possible that Shakespeare could have spent an influential few weeks there, but long-term study seems unlikely. One theory that has been put forward is that Christopher Marlowe faked his own death in 1593 and went to live in Italy. There, the theory goes, he wrote plays set in the cities where he lived or that he visited, and sent them to Shakespeare who presented them as his own. John Florio and Florio’s father have also been suggested as the “real Shakespeare”. Another suggested candidate is Emilia Bassano. She was part Italian, multilingual, educated and she wrote and published poetry. She was the mistress of a cousin of Elizabeth 1, Lord Hunsdon, but when she became pregnant by him she was married off to Alfonso Lanier. Lord Hunsdon later became patron of The Lord Chamberlain’s Men, the acting troupe of which Shakespeare was a member. It is possible that Emilia was the “dark lady” of Shakespeare’s sonnets. In Mark’s view, her proto-feminist attitude could have educated Shakespeare about women and she could have been a model for his heroines, but she is not likely to have written his plays or poems. So it is unlikely that Shakespeare was, literally, an Italian. However, in the end, said Mark, not only was Ben Johnson right when he said that Shakespeare was “not of an age, but for all time” but his work also crosses all bounds of gender and nationality. He belongs to the world.